About several years ago, the alarming news about the male model who hanged himself after battling years of a crippling toothache shocked the public. Dorian Thompson was a model and an art director who is working with the Japanese fashion company. According to the source, Mr. Thompson experienced throbbing pain in every tooth for six years long, and this caused him to lost sleep and malnutrition as he hadn’t eaten properly due to the complications on his teeth. One of his friends said that Thompson’s life was all about taking morphine to decrease the enormous amount of pain that he felt. The model used to be outgoing and socially active until dental problems tried to deteriorate his health and life as well. In addition to a severe toothache, a Temporomandibular joint disorder had also attacked him. The condition is associated with a worn down jaw joint, leaving his jaw unsupported. Thompson described his body as having ‘multiple pins’ when he walked. He wanted to have a way out of his painful life that is why he committed suicide. A toothache; the serious condition characterized by a worse pain in or around the tooth. But it’s more than just a dental concern; it can be life-threatening if left unaddressed. Aside from physical pain, unattended tooth pain might lead to cavities, periodontal disease, and worst, infections that cause the patients to become septic, increasing the chances of death. Tooth-related problems were listed on the top ten leading cause of death in London during the 1600s. An abscess in the tooth commonly is the lead of a toothache. The issue can impact the body, bones, and bloodstream if not treated. Life is precious. Save your teeth! At Riverheart Family Dentistry we give our hearts to helping our patients with all of their different dental concerns, at any time of the day. When facing dental urgencies, don’t hesitate to contact us for an Emergency Dentistry care. 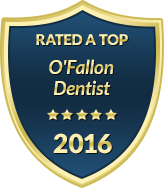 For inquiries about Emergency Dentistry in O'Fallon, MO, call. You can also visit us at Woodlawn Plaza 8618 Mexico Rd O'Fallon, MO 63366.